After weeks of work I finally finished the Future Card Buddyfight!! Plugin plugin for LackeyCCG. 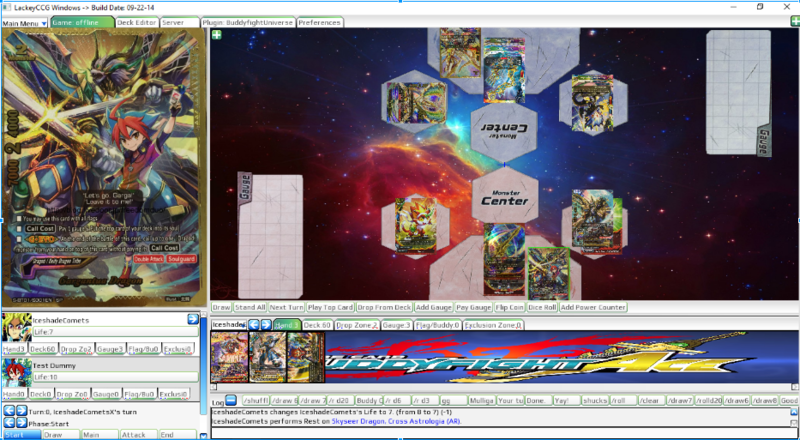 It includes all of the new prerelease cards as well as most of the old cards that Future Card Buddyfight!! Plugin has to date. -Fully Updated Database, which new updates every week with the newest cards!! -Support for FFA Fights up to 4 Players! !